Our old dishwasher did not wash dishes. Perhaps you have kept with something that is no longer working. The dishwasher was never very good but it got progressively worse. 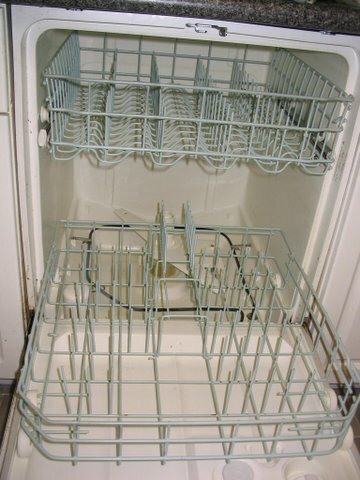 In the last year or two you needed to pre-wash the dishes in the sink, load them in the dishwasher, and then pull them out after washing them only to find that you had to scrape off assorted-sized particles that had encrusted on the plates and glasses like barnacle to a ship. We now have a new turbo charged dishwasher that leaves the dishes clean and sparkling. Why did we wait so long to do something? How much energy was wasted? Energy is one of the three foundations of Strength Based Leadership. When we fail to pay attention to energy we may be losing one of our most vital resources as leaders. We need to stop things that waste our energy but sometimes we just carry on mindlessly engaging in work that could be done much more effectively and efficiently. Where does your personal and organizational energy go down the drain? What wastes your energy the most? What are you doing about it? Are your working on things three times that should only take once? What can you improve, change, or replace that would enhance energy efficiency? When something or someone is not doing the job what is your response? Is there a different response you could make to improve energy? To maximize our energy we must at times clean our plate of work and take a close look to make sure everything is in good working order and then use our energy to enhance or replace what is not working so that we may have more energy in the long run. Nobody but another barnacle wants to eat off a barnacle-encrusted plate.